One piece construction, solid fit! Good quality, Should work well for the 90 % of us. Good quality, nice finish. Went on with no problems. Has set screws on bottom side, So you may want to make sure rifle is leveled with rear pinici rail. Blue lock tight. Away you go. Good price. On bottom rail placed a quick on -off sling attachment. Pleased with purchase. 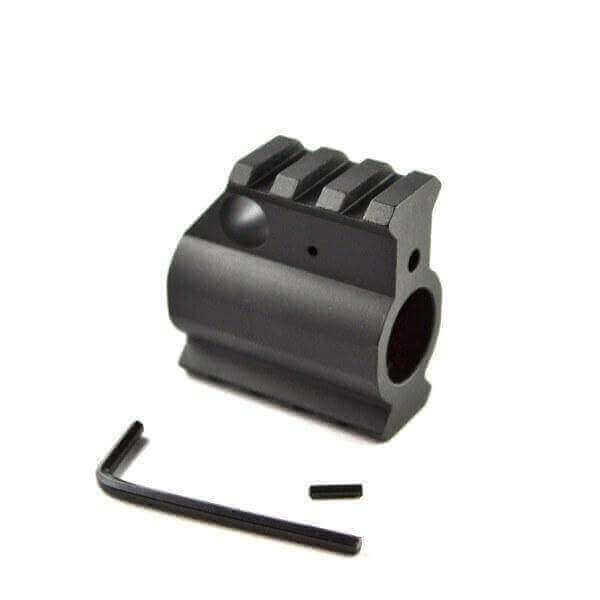 The gas block is about 2 inches long so be sure to check the seat on your barrel prior to purchase. I failed to do this. Called customer service for minor issue and it was resolved while on the phone. Great support and will buy from again.